What is it with About.com and recipes? “About-dot-com” is probably the least foodie-esque, exciting, glamorous, food-blogospheric thing I can think of, and yet its consistently reliable recipes pass the test time after time (I’ve long been a fan of their Moroccan stuff). A recipe I found there was the basis for this very satisfying soup, inspired by a large stack of carrots waiting patiently at the bottom of our fridge (and, as usual, the fantastic Thai food aisle at our local Stop & Shop). I eliminated the rice (called for in the original recipe) for a lighter soup and the result was a sprightly, fresh carrot soup with a hint of basil & lemongrass, just in time for summer. It goes to show, I suppose, that you shouldn’t judge a book by its cover, even when instead of a book you are talking about a website, which reminds me of that line from the Merchant of Venice about how all that glisters is not gold. Some gold things are beautiful golden delicious soups. 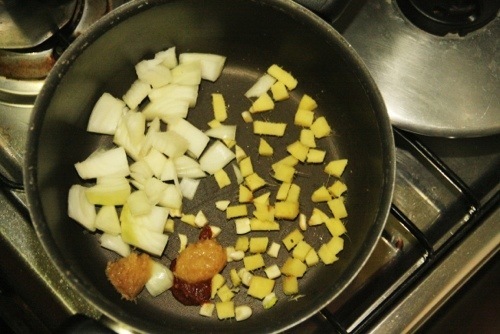 Fry up the onion, garlic, lemongrass, ginger, and chili in a few tablespoons of oil, stirring for about a minute. Add in the broth, bring to a boil, and tip in the carrots and spices. Cover and cook for about 15 minutes on medium low (or until the carrot pieces are easy to stick with a fork). 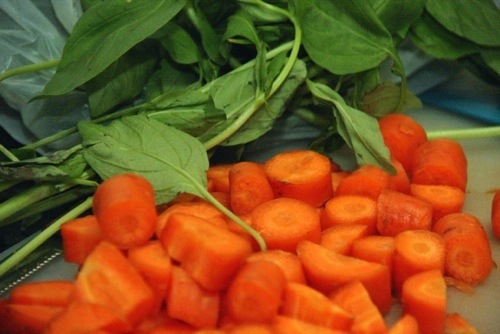 Add the coconut milk and blend the soup in a blender or food processor in batches along with about half of your basil. Bring the soup back up to medium heat and add the fish sauce and soy sauce, tasting for flavor and adjusting spices as needed. 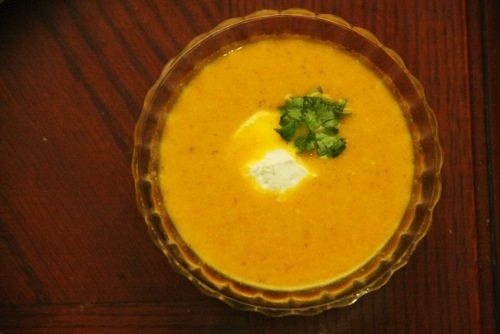 Serve with coriander, basil, and a dollop of lebneh or plain yogurt (obviously).